Plaid has a casual, sporty look that can turn any sleep space into a comfort zone. 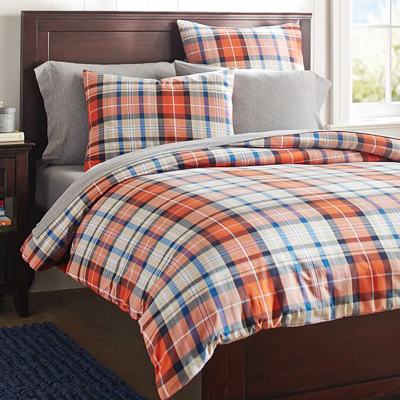 This Field House Plaid Duvet Cover is dyed with classic colors that alternate from soft to bold. $28.50-$109. Buy here.